My husband and I just got back from moving Uncle Peter’s gear from his home at Mutijulu, to Alice Springs where he will now be living. He will be sorely missed at Uluru. He has been an incredible source of support for the local community and has put decades of valuable work in as an arid zone botanist, well respected as an irreplaceable fount of knowledge. Our rescue mission went beautifully, thanks to some brilliant planning by Steve. 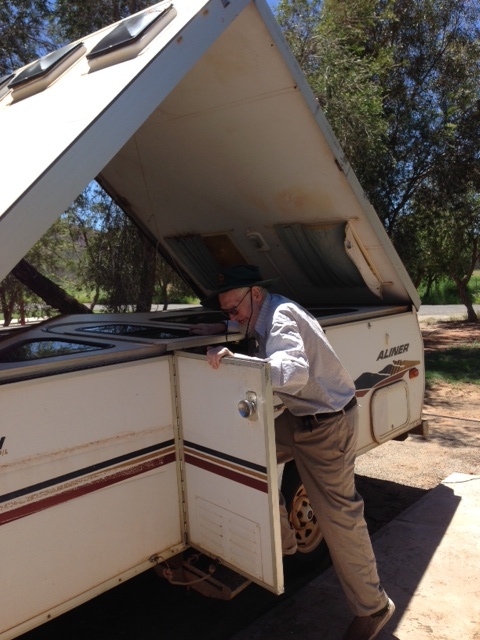 On the friday we arrived in Alice, we helped Pete pack up his caravan, then we cleaned out his car. We picked up a hire trailer and some packing materials and conferred with Pete about what needed to be done. The next day Steve drove out early and my cousin dropped me off at the airport after a lovely lunch with her and my mum. My chronic sciatic injury isn’t car-friendly, so I had to fly! Stephen arrived the same time I did and he collected me from the airport. After dropping things off to our hotel room, we went to my uncle’s demountable on the community, spent a few hours throwing out rubbish and drove back to the room on sunset. I absolutely love the view of The Rock from the community. Lots of good memories! I remember spending hours playing with my brother in Pete’s ultra-lite glider, pretending we were flying; gazing through telescopes while Pete taught us how to recognise venus, mars and saturn; and listening to him telling us dreamtime stories about The Rock. It took us another four days of packing and cleaning to finish the job and we made some friends with a nearby local family who claimed the old bike I used to ride around on when I was a child, along with a smorgasbord of other goodies like food and a couple of old chairs. 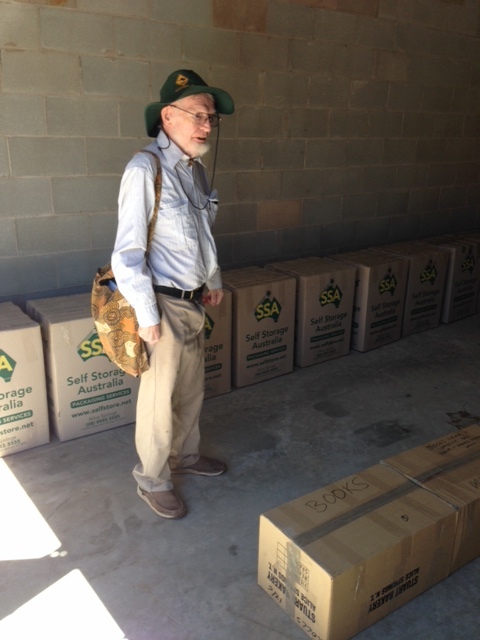 We also left lots in the shed, which uncle donated to the arts community, along with the demountable. 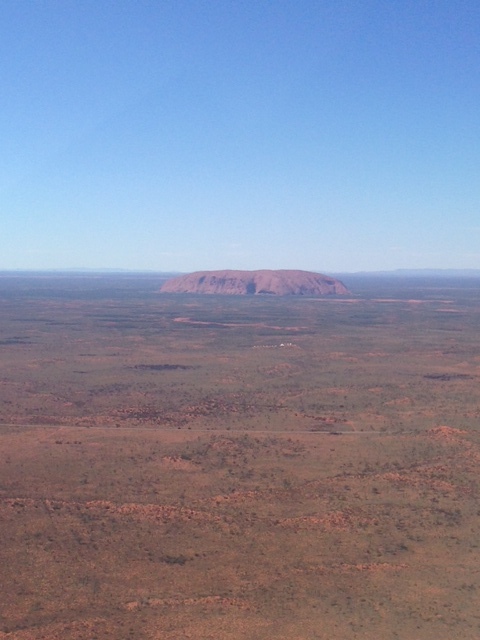 On the last day, we got up before dawn and walked around the rock, then we went to Kata Tjuta. To my delight, there were lots of flowers after all the rain, and incredible memories came flooding back of childhood visits to places that are now closed off to the public. I’m glad the locals are reclaiming their space. On friday I flew back to Alice while Stephen drove back with the loaded trailer. It was lovely to connect with family and I’m hoping to go back again in a few months time, to help sort through some of Pete’s gear and get some interviews done with him. 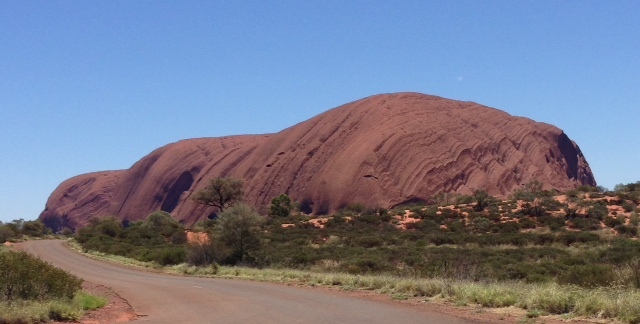 It was really beautiful to hear over and over again the love and respect everyone at Uluru held for him…. they will miss him so much. He leaves a legacy of important botanical work and great kindness in his wake. Other rangers are taking over with the plant walks, but who will now buy and deliver a weekly box of fruit to the local community school? Some are talking about setting up a special garden in his honour, with the aboriginal names for the plants featured; my uncle is very concerned about this knowledge being lost. Here’s the blog about the spiritual adventure. Thank you so much for sharing 🙂 Beautiful!